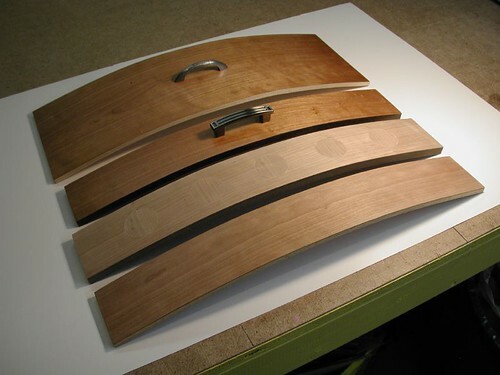 This tutorial shows how easy it is to build custom drawer faces using vacuum veneering. Learn how to make a custom foam mold that can be used to make multiple drawer faces for furniture or kitchen cabinets. 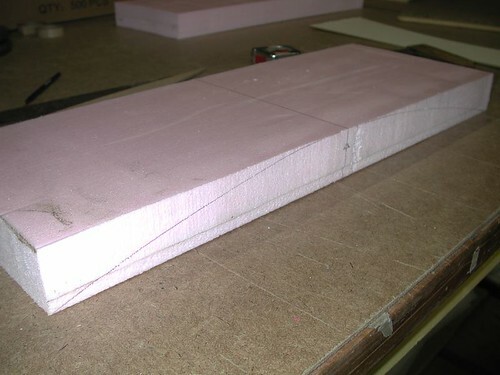 Here is a picture of the foam cut into a rectangle. 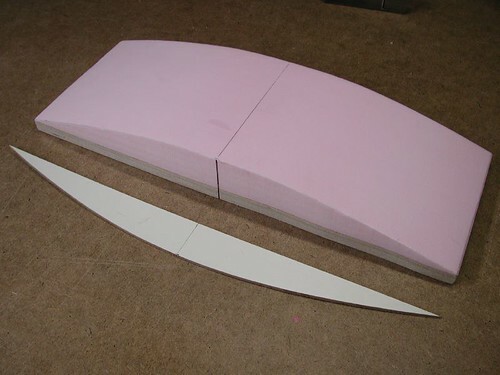 Foam usually comes in 24″ x 96″ lengths. 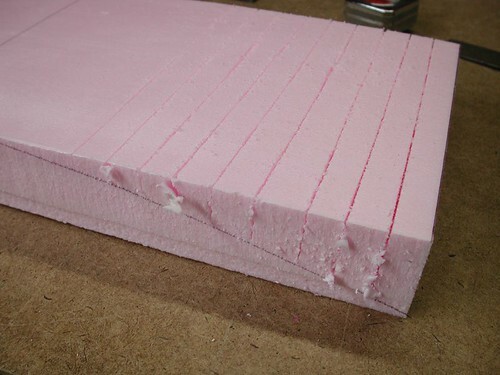 When selecting foam try to pick one that has a high R rating as it will be more dense than one with a lower number. A typical R rating for building a mold would be a 7 to 10 rating. I cut my template out of masonite. When doing this be very accurate, making sure the template is the exact curve of the inside circumference of your drawer. The template should have a very accurate center line drawn on it. 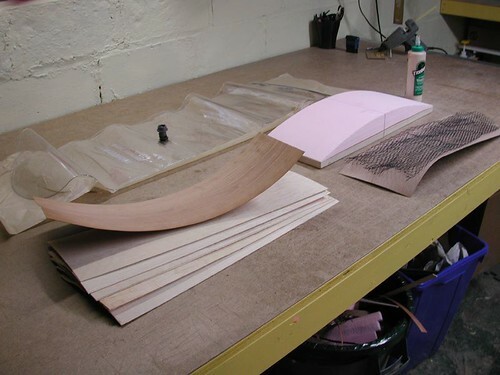 Make the mold convex in shape, as it is much easier for a vacuum bag system to wrap veneers over a convex shape than to pull them down into a concave shape. 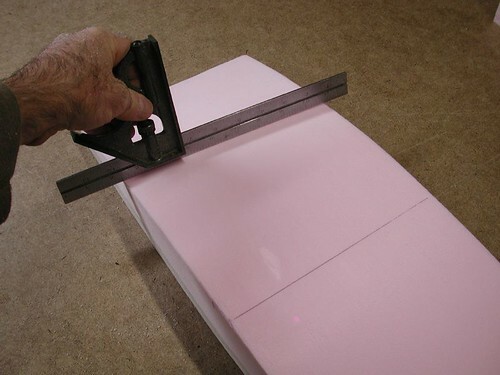 When cutting out the rectangle of foam, make it slightly larger than your final drawer size in both the length and width. 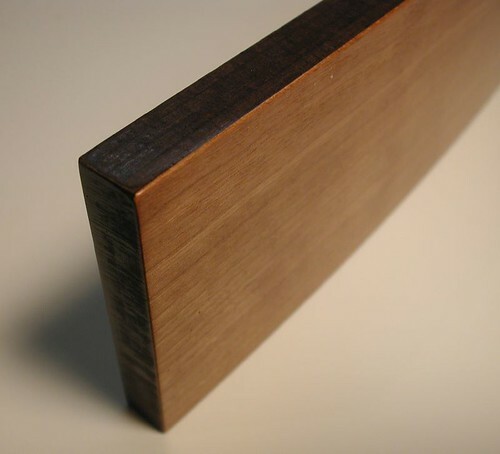 The veneers should not overhang the mold while laminating. 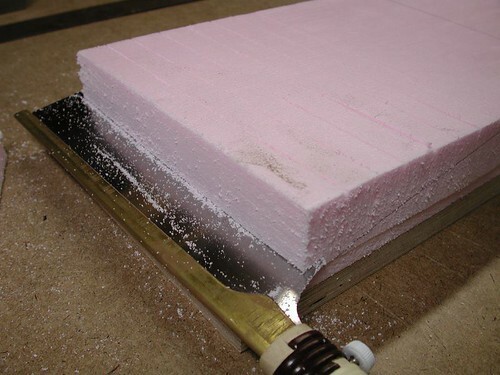 Make sure the width of the foam is parallel and the ends are square. Draw a center line across the face of the veneer and down the two sides as shown below. Because my bandsaw is not wide enough to cut my profile out, I am going to use a backsaw. 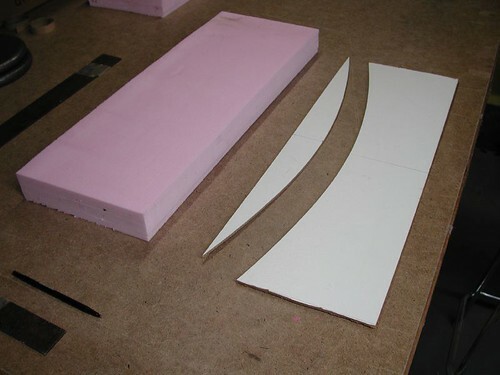 Make a series of cuts around 1″ apart across the foam. Cut down almost to where your template line begins. Do this on both ends of the foam. Because my foam looks like it is going to get pretty thin at either end of the mold I cut a piece of 3/4 plywood the same size as the foam. I glued this to the bottom using a woodworker’s glue or spray adhesive. You can see this addition to the foam in the picture below. 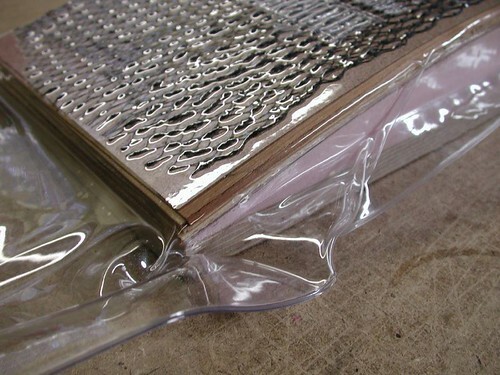 This will also prevent the ends from distorting in the vacuum bag while trying to bend multiple layers of veneer. Here is a good way to check how flat your mold is becoming while sanding. Using a straight edge like this combination ruler, hold it across the face of your mold. 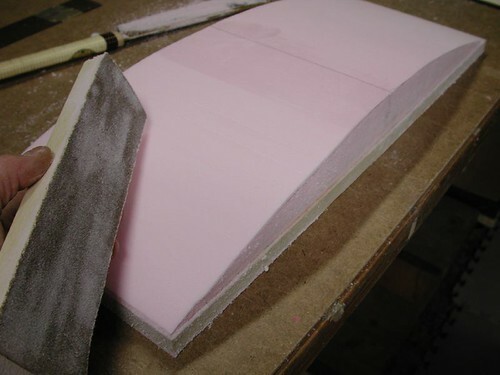 If there is a gap at the ends between the ruler and foam, you will need to sand a bit more across the middle of the mold. This is what the mold should look like when finished. It is time to cut out your laminating materials. As mentioned, I used a number of different materials for this tutorial. 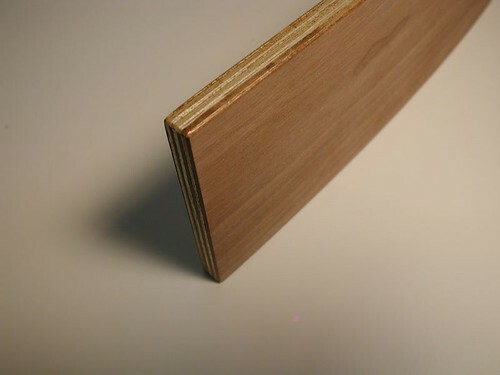 I think the best material to use is solid veneer, preferably 1/16″ thick. 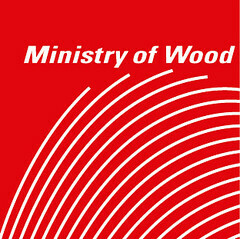 Here is a link to 1/16″ maple veneer if you cannot find it locally. 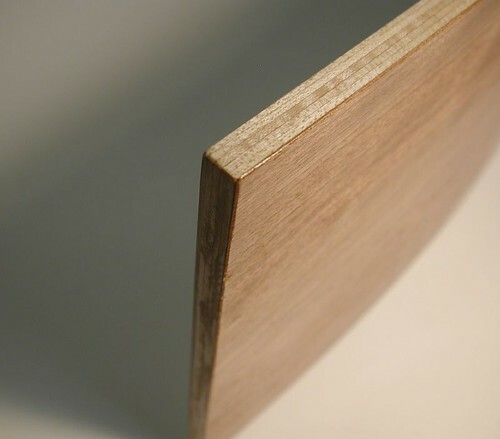 Cut out enough pieces so that the thickness of your laminates are equal to how thick you want your drawers to be. Make the pieces slightly oversized, as you will be trimming the edges later to make them square. Do not make them larger than the mold! I cut this material out with a sharp knife but a bandsaw will also work. 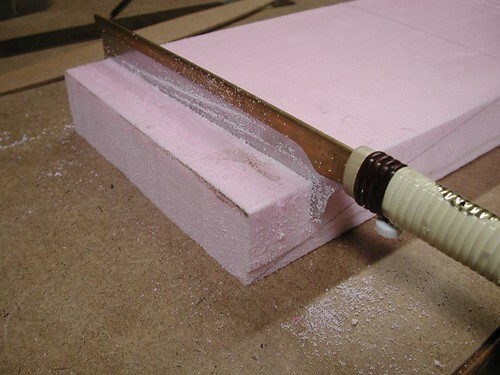 Once you have done this make sure that the pieces are clean of any rough edges, sandpaper will clean them up quickly. 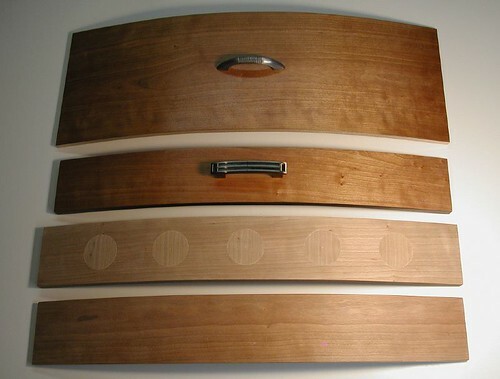 I also found that 1/8″ Luan door skin plywood worked very well for laminating these drawer fronts. This material is very inexpensive and accessible at most building supply stores. I cut a single layer of fancy veneer for the face of my drawer (I chose cherry). Once you have sanded all the edges, stack your veneers in the order you want them laminated in, with the fancy veneer on top. It is time to prepare your workspace for pressing. There are many ways to press your veneers. You can invest in an electric vacuum pump and bag system for vacuum veneering or you can use the Thin Air Press kit from Roarockit. I use the 14 X 47″ bag for this tutorial. Whatever you use, make sure you are familiar with the process before proceeding. Doing a dry run without glue is always advisable when pressing veneers. Have all your materials and tools prepared and ready, including the glue, veneer, roller, (in this case) the Thin Air Press vacuum bag, breather netting and finally, the manual vacuum pump. Make sure you have everything close at hand when you begin your glue up as you have limited time for applying the glue before it starts to dry. Use a short naped roller to apply the glue. This size of project will use about 6 ounces of glue but make sure you have extra glue on hand. 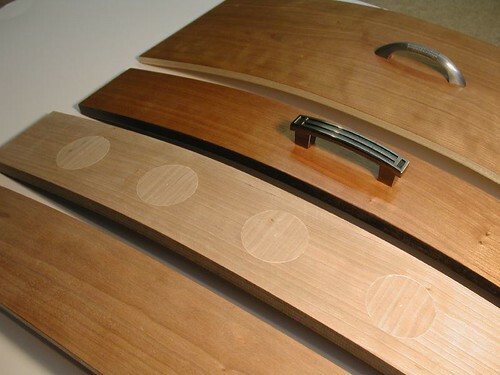 Remove your first piece of veneer for gluing from the bottom of the prepared veneer stack. Apply an ample amount of glue to this layer, evenly covering the entire area. Then pull the second piece from the bottom of the stack and place it on top of the piece you just glued. Apply glue to this piece, repeating until all the layers have been glued and your fancy veneer is on top. Keep them all aligned as much as possible. Apply a piece of masking tape to either side of the stack at the top crown of your drawer face. 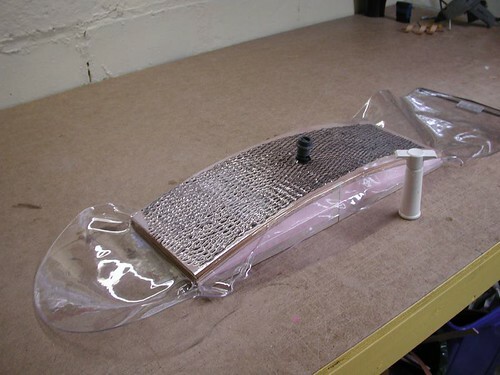 This will help to keep the veneers aligned while putting them in the vacuum bag. 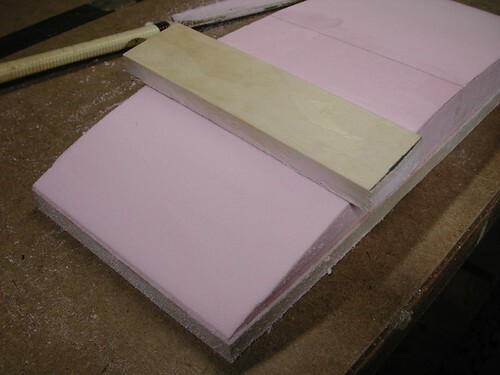 Place the veneers on top of the foam mold. You may also want to masking tape the stack to the mold by placing a length of tape across the center and down either side of the mold. Lay a piece of pre-cut breather netting on top of the veneer to allow for even evacuation of the air from the TAP bag. Carefully place the stack inside the vacuum bag. Peel the paper from the sealing tape and pull firmly on either side of the TAP bag to stretch the bag flat against the sealing tape. With your finger, carefully press the sealing tape to the vinyl TAP bag working from the inside of the bag towards the outside. Look for any light colored areas where the tape is not firmly pressed down. These will be very visable and only need a little thumb pressure to remove them. Here is a video of this procedure (you will need the free Real Media player to view). In a few minutes, check to see if you have any leaks along your sealing tape by pulling at the edge of the vinyl. If the vinyl pulls away from your project, look at the sealing tape for any light colored areas and use your thumb to press these out. Once done, you can re-pump your TAP bag. The process is very simple and if you follow the basic instructions, the TAP bag will maintain vacuum for as long as it takes your glue to dry. I leave a project like this in the TAP bag for at least 8 hours. Check to see what the glue instructions say to be sure, as some glues take longer than others to set. After you remove your drawer face from the TAP bag you will have to square up the edges using either a hand plane or jointer. I used a jointer on one edge of my drawer face before going on to the table saw to cut them down to final size. The last step was to sand and finish each of the drawers faces and apply finish. 4 layers of 1/8″ tempered masonite (shiny both sides) plus a single outside layer of cherry veneer (I sanded the masonite before gluing). Hotwire works but for one off custom boards, shaping by hand is much better and far quicker than making templates for a hot wire cut. Usually with hot wire shaping I ruin at least one block of foam befor gettin the shape right. When I ship it by hand I get it right every time.